The job site for at-height workers, industry, and construction is diverse and the weather is anything but predictable. That’s why you need to be prepared for anything the job and mother nature throws at you. GME Supply is your resource for all things industry apparel. From base & mid layer, GME Supply branded swag, and hi-vis apparel to jackets, outerwear, pants, and shirts we’ve got exactly what you need to stay safe and comfortable while on the job site. Our selection of base and mid layer clothing is your one-stop shop for job site apparel. Whether you are looking for jackets, coats, shirts (both short sleeve and long sleeve), pants, shorts, sweatshirts, and everything in-between, GME Supply has the base & mid layer clothing you need. Our selection includes items from brands like Ergodyne, Truewerk, Volt, National Safety Apparel, and more. Need custom logo gear to outfit your crew and promote your company on the job site? Our base and mid layer selection includes a range of customizable gear. We use high-quality custom work shirts. They are available in four colors: white, heather gray, hi-viz safety yellow, and hi-viz safety orange. Once you have selected the shirt color, size, and quantity you simply upload your single color (black) logo and check out. Logos can also be sent to climbhigher@gmesupply.com if for any reason you weren’t able to upload it with your shirt order. We will add your logo to the chest and the back of the shirt. Even if your company logo isn’t a super high quality – our art department is top notch and will take care of that for you free of charge. Minimum order quantities start at just 25 shirts. You can outfit your whole crew or your whole company. And remember – the more shirts you buy, the better the deal. We know that you have pride in your job. For you, your job is more than just a profession, it’s a lifestyle. That’s why we have a full line of custom GME Supply “CLIMB HIGHER” Gear. Our selection includes custom designed T-shirts perfect for work or a night out with friends. Our T-shirts are comfortable, durable, and they look good, too! We don’t just stop t-shirts, though, we also feature a selection of stickers, shoes, and hats so you can customize almost your entire wardrobe. When working on the job site there are many dangers which is why GME Supply prides ourselves in being here to help keep you safe while on the job. You need to be seen on the job site to stay safe. Stand out from the crowd and stand out on the job site with our wide selection of hi-vis apparel. Whether you are looking for class 2, class 3, hats, non-ANSI, rain wear, or vests we’ve got the hi-vis gear you need. The most important part of picking out hi-vis apparel is knowing whether it needs to be ANSI compliant. If it does need to be ANSI compliant there are two classifications that you need to be aware of: class 2 and class 3. Class 2: Class 2 apparel is intended for environments that pose a greater risk than those that require Class 1 traditional safety yellow or orange apparel. Class 2 apparel is medium sized because of the ANSI requirements. Class 2 apparel must have at least 775 inches of safety yellow or orange material and 201 square inches of reflective striping. Class 3: Class 3 apparel is intended for dangerous environments and is typically larger because of the ANSI requirements. They must have 310 square inches of reflective striping and 1,240 inches of safety yellow or orange material. Non-ANSI: Non-ANSI rated gear means that it does not meet the requirements set forth by ANSI and should not be used in low light situations where certified hi-vis gear is required. There are few things in this world that are as dangerous as mother nature. When you find yourself in the belly of winter cold stress and hypothermia can wreak havoc on your body. That’s where jackets come in handy. At GME Supply, we pride ourselves in being your gear expert and that means having a wide selection of different types and styles of jackets that can help keep you warm no matter how cold it gets outside. Our jacket selection includes single, double, and triple layer jackets, thermal jackets, heated jackets, bomber jackets, hi-vis jackets, and more. Pants are important - well pants or shorts that is. Going out on a job site with no pants on isn’t exactly safe. On top of that, not all pants/shorts are created equal. Our full selection of work pants (shorts) will ensure that you have the gear you need to get the job done, stay safe, and keep from embarrassing yourself on the job site. Whether you are looking for jeans, bibs, or specifically designed work gear like our selection from Truewerk we’ve got the bottoms you need. We also feature a selection of hi-vis pants and shorts along with rain gear to keep you visible and/or dry. Shirts are an important part of any ppe & work wear setup. They protect your skin from harm and can play a pivotal role in protecting you from mother nature. Our large selection of shirts features everything you need to get the job done and stay safe. From short sleeve and long sleeve to performance wear and hi-vis, GME Supply is your resource for shirts for both on the job and on the weekend. 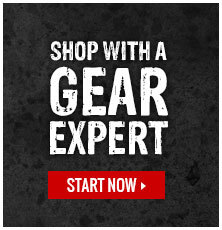 For more information about our selection of apparel, or if you have any questions, click here to get in touch with one of our Gear Experts®.